If you’ve been following our blog since we started last year, you’ll notice the gulls are getting more colourful as we go. 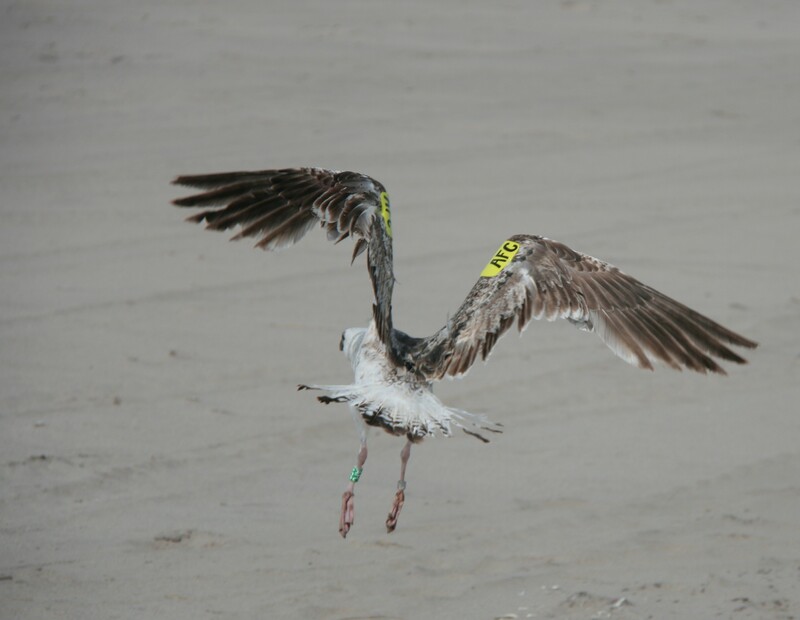 In order to help keep species and populations distinct, banding and wing-tagging efforts have adopted unique colour combinations for each species and region so that a gull’s banding location can be known even when the letter codes aren’t discernible. So far on Sable we’ve put three colours in use including PINK for Herring Gulls TURQUOISE for winter banded Great Black-backed Gulls, and YELLOW/LIMEGREEN for summer banded Great Black-backed Gulls. Check out some sample pictures below. 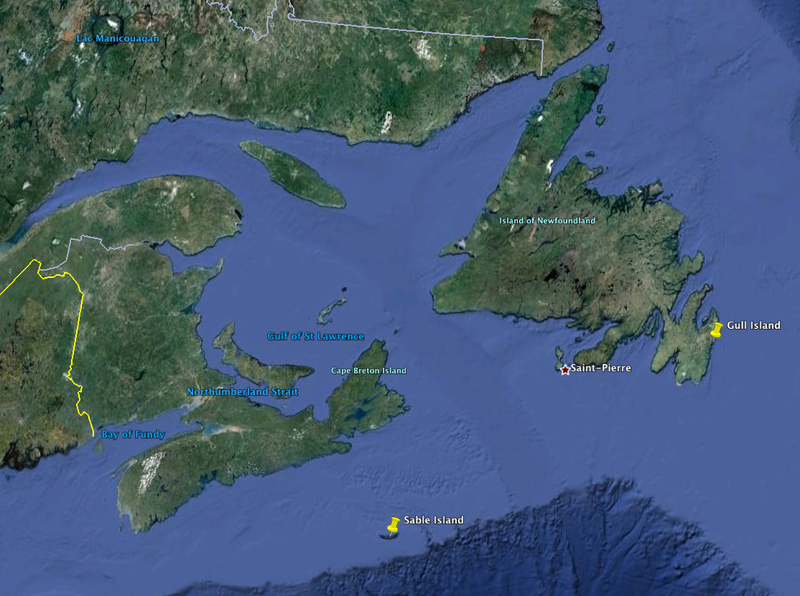 A colleague of mine working up in Newfoundland has added one more shade to the gull rainbow. He’s using a BEIGE wing-tag with black letters Here’s a little message from Alex who would appreciate your reports if you see any of these gulls too. 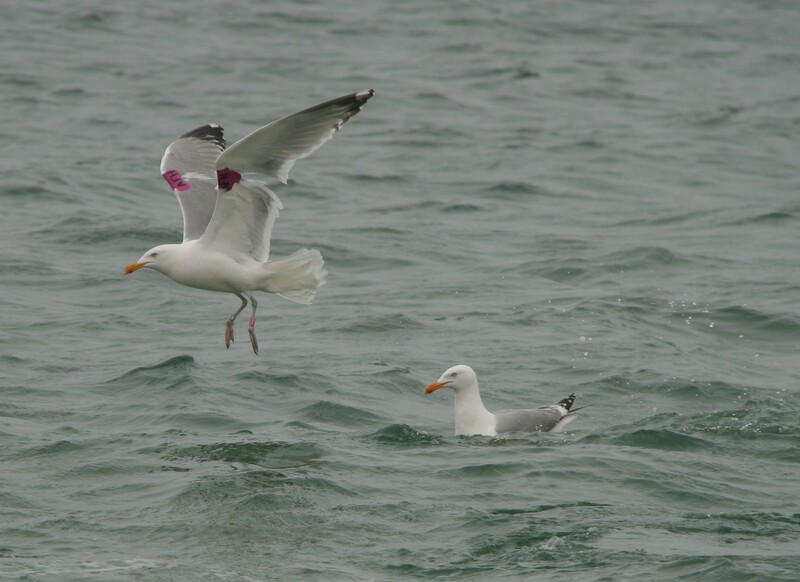 Beige wing-tags were deployed o Herring Gulls from Newfoundland in a study this summer. 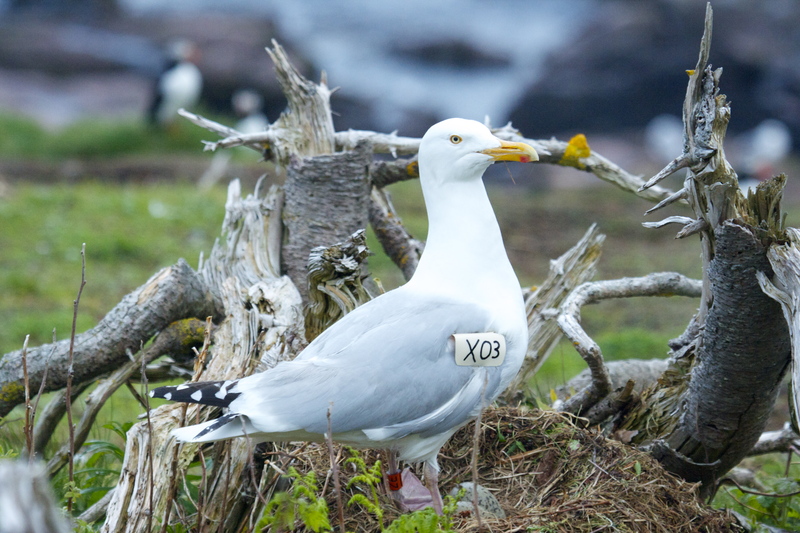 Beige tags were deployed on gulls from Gull Island, Newfoundland. Thanks for your help and keep the sighting reports coming. 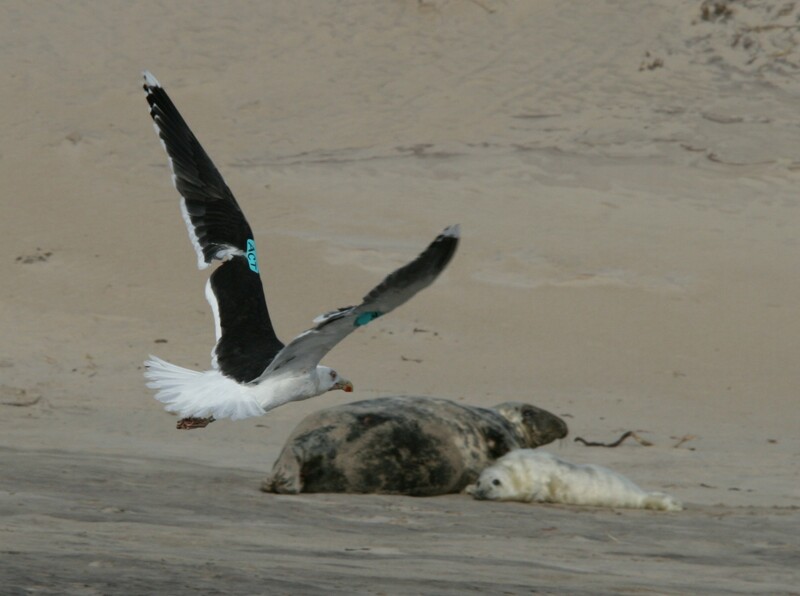 A turquoise tagged Great Black-backed Gull from Sable Island in the winter.